From above lists, we can see that the file formats can be played on Samsung Galaxy Tab A is very limited, if you want to copy some incompatible file formats such as your Blu-ray/DVD disc movie collection, camcorder/camera recorded videos with the format of H.265/HEVC, MXF, XAVC/XAVC S, AVCHD (.mts, .m2ts) to Galaxy Tab A or online downloaded videos/movies with 4K/2K resolution or AC3 audio codec, you video will get stuck, play backs very choppy or not even recognized by the tablet. 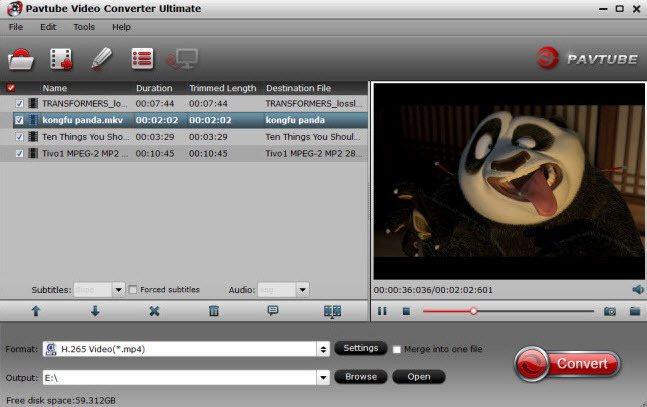 To address all those file formats incompatible issue, what you need is a powerful video conversion application. 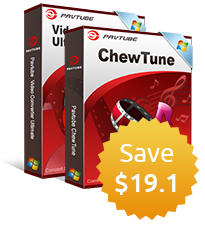 To save your time and energy, here, we recommend you a highly appreciated application with reasonable price called Pavtube Video Converter Ultimate for Windows/Mac, it can comprehensively rip both commercial Blu-ray/DVD disc, convert online downloaded video or device recorded video in virtually any file formats with 4K/2K/SD/HD resolution to Galaxy Tab A playable video and audio formats listed above. Besides that, if there are not enough storage space on your Galaxy Tab A tablet, you can use our application to compress the video to small file size by trimming unwanted parts from the video, adjust to output a file with small file resolution or lower the video bit rate 20-50% of the default file. In addition, you can also adjust the output aspect ratio to make it compatible with the aspect ratio of your Galaxy Tab A tablet display screen. 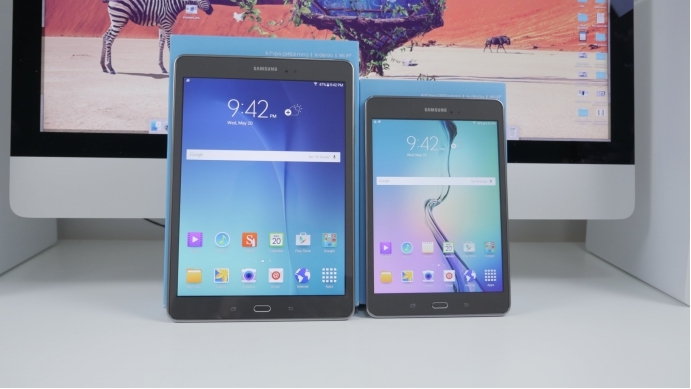 How to convert and play unsupported video/audio formats on Galaxy Tab A? Step 1: Add video files to the program. 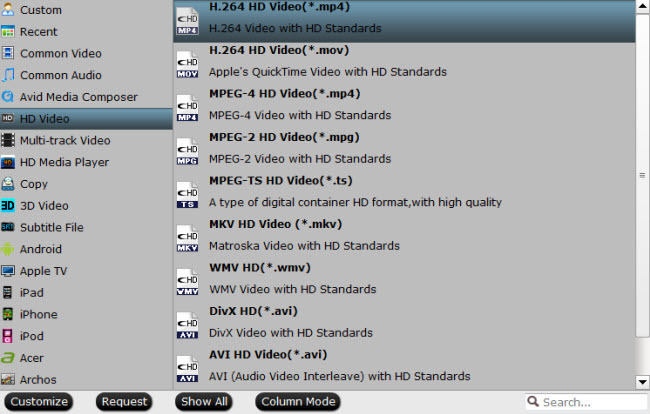 Launch the program, click the "Folder" or "Video" icon to add source video movies from your local computer to the program. For loading Blu-ray/DVD disc, click "File" > "Load from disc". Tap on the "Format" bar, choose Samsung Galaxy Tab A best compatible MP4 as output file format. 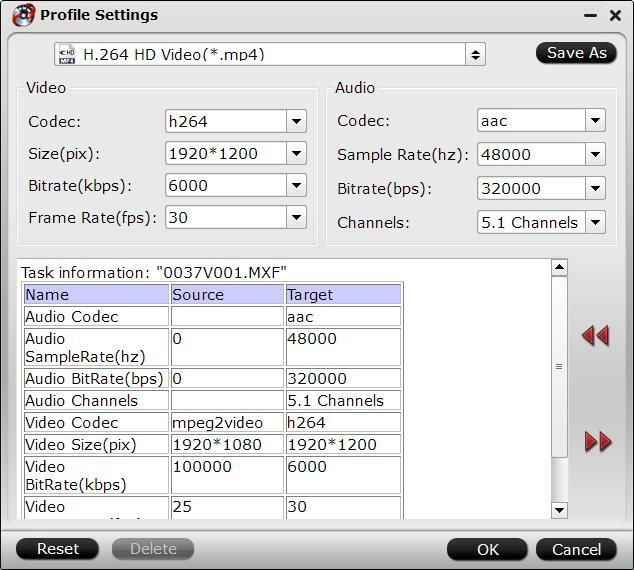 To achieve a smooth video playback effect, it is idea for you to choose to output "H.264 HD Video(*.mp4)" under "HD Video" as final output file format. Step 3: Reduce file size in 3 different ways. 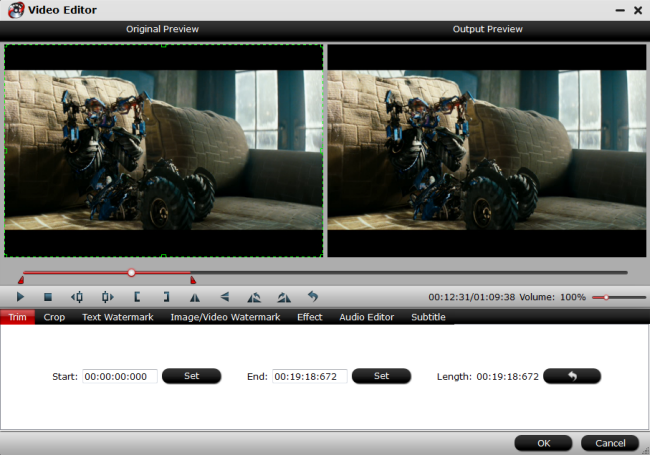 Open "Profile Settings" window, here you can reduce video file size by output file resolution or bit rate with small values. Click "Video Editor" icon on the main interface to open video editing window, switch to "Trim" tab, drag the slider bars to set the start time and end time to select only your wanted parts to be converted. Step 4: Start video conversion process. Click the "Convert" button to start Samsung Galaxy Tab A video conversion process. When the conversion is completed, you will have no problem to transfer and play any video audio on Samsung Galaxy Tab A 8.0 or 9.7.